Dr. Ashley Villatoro earned a Bachelor of Arts Degree in Biochemistry from Hood College in Frederick, Maryland. She attended Ross University School of Veterinary Medicine and Texas A&M School of Veterinary Medicine for her Doctorate of Veterinary Medicine. After veterinary School, she completed a small animal rotating internship at Lauderdale Veterinary Specialists in Ft. Lauderdale, Florida. She was given the opportunity for a surgical internship this past year at the same facility and continued her training. 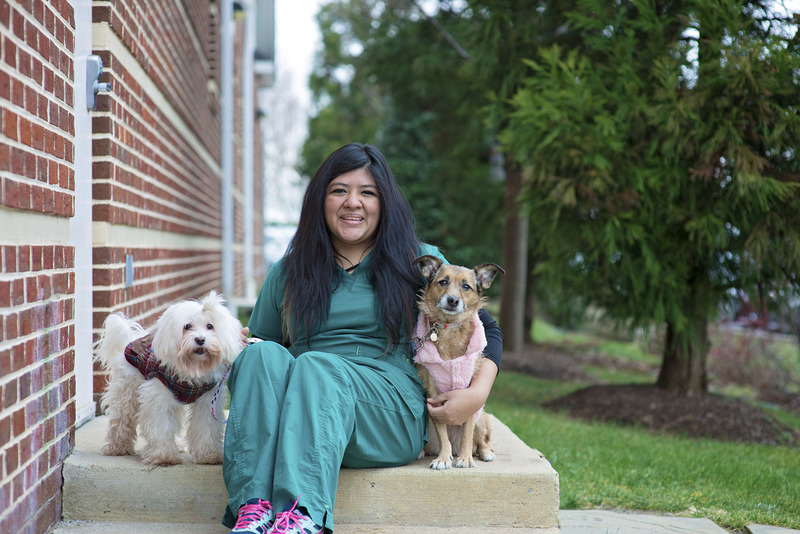 In between internships Dr. Villatoro has worked as an emergency doctor at Lauderdale Vet Specialists. Her interests in surgery encompass wound management, skin reconstruction, prosthetics, and emergency abdominal procedures. In her free time, Dr. Villatoro enjoys walking and swimming at the beach with her island dog Ting.